"I'd like to send our thanks for your hard effort translating our diverse minds into a co-herant brand and a logo that is fresh, relevant and strong. 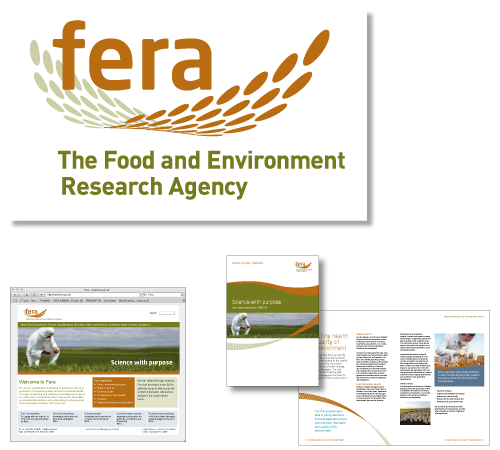 Defra passed on comments such as ... "the design looks extremely good. It's modern and clean and seems to fit the new organisation well. "A good result." A design that is based on the transistion from research to realisation.